Human Immunodeficiency Virus (HIV) is a serious pathogen that can be spread through blood or as an STD and has no known cure… for now. HIV causes Acquired Immunodeficiency Syndrome (AIDS) by targeting CD4+ Cells (T-Cells) that normally direct the immune system. Without these leaders in our bloodstream, we are vulnerable to contracting many other diseases and have trouble fighting them off. Even the common cold or influenza is dangerous to a person with HIV/AIDS if they are not receiving treatment. According to the US Center for Disease Control, as of 2016, 36.7 million people around the world have HIV. Tragically, less than half of these people receive treatment, and 1.1 million died to the disease last year. One scary aspect of HIV is that it can lay dormant in the human body. This means that the virus is hidden and is not producing clinical signs of illness but is still replicating itself and spreading. Currently, this chronic syndrome can be treated by Antiretroviral Therapy (ART). ART is an expensive procedure that attempts to target the process by which HIV splices, or inserts, itself into the DNA of T-Cells. This can prevent further proliferation of the virus but does not target any of the dormant cells. Thus, ART can not fully eradicate HIV from the body because those dormant cells can later on become active. There is currently a trial for a new treatment in England involving 50 participants and scientists from 5 different British universities. The experimental therapy has two steps. First, the patient is given a vaccine to bolster their immune system’s ability to find and kill cells infected with HIV. Then, a drug named Vorinosat is administered to awaken dormant cells by promoting the production of HIV proteins. These proteins alert the immune system to fight the dangerous reactivated cells. Vaccination and Vorinosat make up a powerful duo intended to exterminate the HIV cells that are hard to find. 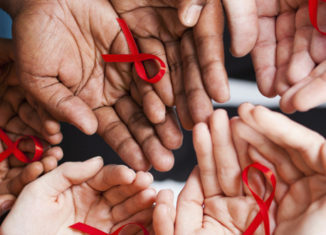 If the scientists achieve their goal of developing a method to successfully strengthen the immune system and then aim its attack on the identified dormant cells, they will have successfully created the first complete cure for HIV. An anonymous 44-year-old man is one of the participants in this study. His early test results after the trial treatment, showing no detectable HIV virus in his blood, have doctors and the entire scientific community electrified with eagerness and hope. Professor Sarah Fidler, a consultant physician at Imperial College London, said: “This therapy is specifically designed to clear the body of all HIV viruses, including dormant ones. It has worked in the laboratory and there is good evidence it will work in humans, too, but we must stress we are still a long way from any actual therapy.” Professor Fidler is cautious regarding the excitement surrounding these results. It could be possible, however, that this treatment has negative side effects. The therapy might not be completely successful, and the HIV could reappear in a few months. The situation is too premature to make any final conclusions, so more periodic testing is needed on this man to have more information and confidence. The medical community can only hope for the best so that the treatment can be tested for human safety and, in the best case scenario, be mass produced to save millions of lives.